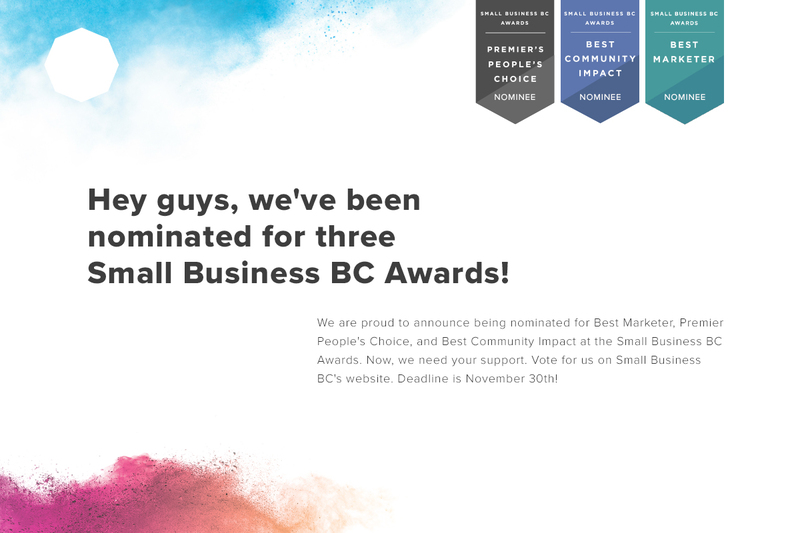 We are proud to announce that we’ve been nominated in 3 categories at the Small Business BC Awards! Array Studios is up for the Best Marketer, People’s Choice, and Best Community Impact awards. As a digital marketing agency, we are thrilled to see our work earning recognition not just as a marketer, but also for having a positive impact on the community. This is what really makes it worthwhile for us! Now, we need your help! Follow the links below to get to the nomination page for each award and vote for Array in the categories. The deadline is coming soon, though, on November 30th, so don’t wait too long! We will keep you all posted on the results of these nominations!